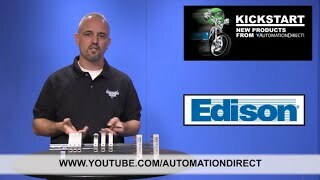 Edison modular fuse holder, with indicator, accepts Class Midget fuses, 30A, 600V, 2-pole, 18-4 AWG copper only, integral pressure plate with separate spade connection, 35mm DIN rail mount. Package of 6. Customers who bought a EHM2DIU-6 also purchased the following items.